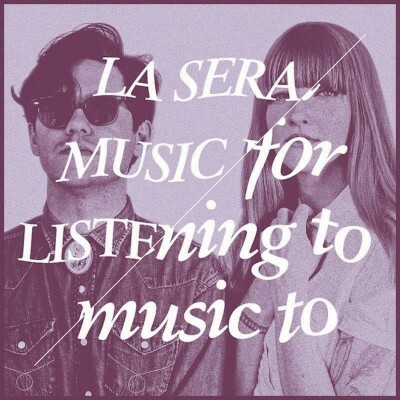 Music For Listening To Music To maintains the upbeat and bubbly nature that La Sera have historically brought to the table. To be sure, there is no mistaking that this album professes a deep appreciation for being a hopeless romantic, let alone being in absolute love. Each track perfectly represents the struggles, joys and endless anxiety that make up the journey of being totally, ridiculously and completely twitterpated. It is an album that is easy to understand and even easier to follow. After spinning this and immersing myself in its endless charm, I find that this album is the perfect invocation of all that is love and cutesy-wutesy while being upbeat and fun to dance to. Top tracks include “High Notes” and the aforementioned “I Need an Angel.” Although I find that Music For Listening To Music To is a great non-controversial listen, after digesting its 10 tracks, it leaves me feeling good inside. I’ll admit: It’s kind of strange, as most music that drifts across my consciousness inspires thoughts of causing agitation. La Sera have something that is unique here, and I confess that I actually dig it. Apart from the obviously catchy aspect of La Sera’s music, this is something I can groove or zone out to while walking around aimlessly. In other words, this music is perfect for a leisurely fall or spring stroll. Other noteworthy songs are the soothing “A Thousand Ways” and the more rocking number “Time To Go.” The track “A Thousand Ways” discusses the thousand ways that love is relevant. Again, this is the prevailing theme that the album projects. There are a couple tracks that give me something to bounce to instead of the more soothing but uptempo numbers. One change in direction is “Time To Go.” This track exhibits a more fast-paced garage sound that is reminiscent of Goodman’s participation in Vivian Girls. Unlike the others, which have a Smiths-meet–Bob Dylan–esque nature to them, “Time To Go” almost has an edge to it.